0800 Prank Calls – Are They Hilarious Or Harmful? DBS Telecoms has announced a new feature for 0800 numbers which diverts calls to a chain of up to five different phones or voicemails which means that UK firms need never worry about missing another phone call again. Read the entire DBS press release by clicking here. Buying a 0845 number online is the quickest and easiest way of making a purchase, but do your homework first warns 0845 numbers expert David Clarke. “With more and more businesses adapting to providing an online service, it is easier than ever to buy a 0845 number online. But first of all do your research; know what you are buying into and that it is with a legitimate company”, warns 0845 numbers expert and Director of telecoms company DBS, David Clarke. Some sites offer packages and special deals whereas others can charge extortionate prices so make sure you weigh up your options before going ahead with a decision as you could be tied into a contract for a fixed term. As a benchmark, DBS offer 0845 numbers to landlines for £5 + VAT one off set up fee, and then £5 + VAT per month. Its free for the owner of the number to receive the call, and the customer pays between 3-5p per minute to make the call from a landline. There is no long term contract and only 30 days written notice is needed to cancel. Your number can be pointed to a landline, meaning that you still continue to receive calls to your landline phone as normal, but customers dial a 0845 number rather than your previous geographical number. Your number can be pointed to a mobile number, so if you’re constantly on the road you can receive phone calls on your mobile as normal, but customers only pay the low call cost of 3-5p per minute from a landline and do not realise that they are calling a mobile, making the service seem more professional. Your number can be pointed to a fax number, converting faxes into emails, eliminating the need for a fax machine and saving on toner, paper and electricity costs as well as allowing you to archive faxes on your pc. A memorable number, useful for ad campaigns on radio and television for example. There are also many other added features you can have to enhance your current phone number. Depending on your business, how you want to appear or your budget, consider which options suit you best. Not all online number companies offer the examples provided above so email or call the number provider to establish exactly what they are offering. There are many fraudsters online so make sure the 0845 number service company you eventually choose is a trusted one. Always double check their track record and don’t hesitate to contact their previous or current clients to get an idea of their level of service. DBS for example have 20 years experience, have been awarded Investor in People status and are members of the Lincolnshire Chamber of Commerce and Industry. For businesses, having a 0845 number has proved beneficial, especially with the extra features you can have to increase your level of service. However, with online today, always remember to do your research to avoid any con artists out there. David Clarke, Director of DBS Telecoms and an expert on 0845 numbers, gives an overview as to the basics of 0845 numbers. Premium rate numbers such as 0871 are often charged at a higher rate than normal for the caller. 0845 numbers however were put in the place of 0345 and 0645 prefixes, and usually cost the same as local call rates. Costs are between 3p and 5p per minute depending on the service provider. In some cases however, such as when calling from a mobile phone, they can cost more. This depends on your mobile phone network provider. It is free for the owner of the 0845 number to receive calls, unlike 0800 numbers where the call is free to the customer and the owner pays to receive the call. 0845 numbers are usually issued privately from telecoms resellers with the option to have extra features to increase customer satisfaction or for various other reasons. “So, for example, DBS can change where your 0845 number is pointed at any time for free” says Director of DBS Telecoms David Clarke. “We can set up diverts so that if you’re not at your desk, the call can follow an agreed plan for an agreed amount of time and divert to mobiles, other phone numbers or voicemails. We can even provide a fax to email service, so that if somebody sends a fax to your 0845 number, instead of printing out you will receive it on screen as an email”. For businesses, such premium rate services are beneficial. In terms of communication, a company can advertise just one number nationwide rather than having multiple numbers to allocate to different departments or regions for example. This saves a company time and money by only having to produce one advert with one phone number on it, rather than a range of adverts for different stores, each one with a unique number on it. Some premium rate numbers with the 09 prefix can suggest risky companies such as chat lines, whereas this is not always the case. Many legitimate businesses use a 0845 service for example, many of which are trusted and aim to provide a better service by allowing their customers to get in touch with the relevant department or area. PhonepayPlus is a regulation organisation for phone-paid services in the United Kingdom. Its aim is to provide long term customer protection and regulate services using a code of practice which all phone number providers must abide by. If consumers feel they are being conned then they can report this to PhonepayPlus who will proceed from there. Knowing this added protection is out there, both customers and businesses can feel confident in using premium rate numbers and that both parties will benefit from this service. Apps Magazines has carried out reviews of the 250,000 plus different apps available for iPhones and iPads. Their mission is to “separate the wheat from the chaff”. They have produced a list of “essential” apps which it recommends that readers download “immediately”. 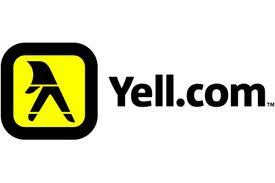 Yell.com app featured in the top five essential business apps available. Find out why by clicking here to read the DBS Telecoms press release on the PR Log Press Release website. Will Calls to 0800 Numbers From a Mobile Be Made Free? OFCOM plans are under consideration to allow freephone 0800 numbers to be free from mobile phones as well as landlines, meaning that customers making calls on a mobile will have the same benefits as customers phoning on a landline. As it stands, calls that are made to a 0800 freephone number from a BT standard landline are free for the person making the call. This has long been considered a huge benefit to both a company and a customer, as it encourages the customer to pick up the phone and make that initial enquiry without leading to a huge phone bill at the end, meaning everyone’s a winner. Everyone except people calling from a mobile phone, which in today’s busy world is often most people. A call to a 0800 number from a mobile phone still attracts a relatively high call charge. In fact, OFCOM's researchers have released alarming statistics regarding the call costs from mobile phones to a 0800 number. In 2009 alone, people in the UK paid a staggering £1.9 billion calling 0800 numbers from mobile phones. The average cost to call a 0800 number from a mobile phone was a cool 40 pence per minute. Yet how many of us phone a company from our mobiles during our lunch break because we can’t use the phone at work for personal calls? How many businessmen out of the office need to phone a company from their mobile? How many people use their hands free kit to phone a company whilst driving home before the company closes at 5.30? Mobile customers are losing out by having to pay a high price that landline users don’t, and companies are losing out because mobile users are put off calling them at these prices. They are losing a vast section of their potential market. OFCOM has therefore recently published proposals whereby all calls to 0800 numbers will be free whether they are made from a landline or a mobile phone. This will be music to the ears of all mobile phone owners. There are several websites that exist purely to make public the "real phone number" behind 08 prefix numbers, which are also referred to as non-geographic. Examples of such websites include 0800Buster and SayNoTo0870. Such is the desperation out there, so this is clearly an issue which needs to be addressed. The UK's telecoms watchdog has also stated that it wants to simplify non-geographic number pricing as it feels that there is a huge amount of confusion surrounding phone numbers that start with these prefixes starting with 03, 08, and 09. Non-geographic numbers have a tarnished reputation since the "Ant and Dec" scandal and OFCOM seems to be keen to clean up the mess. Anyone who watches TV shows where the public has a phone vote (X Factor, Strictly Come Dancing) will be aware that an effort has been made to make clear to the public what the costs will be. OFCOM's chief executive, Ed Richards, stated: "There is clear evidence of widespread uncertainty and confusion about the cost of calling these numbers. Consumers need to have far more transparency about the price they are going to pay for calls so that they can make more informed choices and so competition can work more effectively. Making 0800 free from a mobile and giving people clarity about what they are paying for will improve transparency, improve competition and enhance trust in these important services." David Clarke, Director of DBS Telecoms and an 0800 number expert welcomed Ofcom's proposals, saying: "I am pleased to see that Ofcom proposes to simplify the 0800 and 0845 number pricing structure - it can only be good for our industry" he commented. If, after a consultation period, the proposals are accepted then new 0800 number rates would be introduced over the coming 24 months.